Buyer’s Want Granite, Stainless and Closet Space! Updating the kitchen is probably the costliest project on most home owners’ lists. If it’s not in the budget, we hear all about the quick fixes you can do in your kitchen. Updating the kitchen is probably the costliest project on most home owners’ lists. If it’s not in the budget, we hear all about the quick fixes you can do in your kitchen. Paint the walls! Update the hardware! Buy a new faucet! But if you’ve lived in a kitchen with yellow laminate countertops before (guilty) then you know sometimes it’s those big, expensive fixes that even paint and a new light fixture can’t solve. But, thanks to CasaSugar.com, we’ve found this neat new product, Countertop Transformations from Rust-Oleum, which offers an affordable DIY solution. 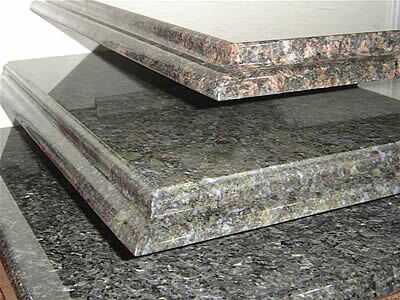 It’s a coating system to give your laminate countertops the look of natural stone products, like granite. Check out some of these before and after pictures. Though this project can be done in a weekend, it’s not your typical $20 bottle of spray paint, but instead comes with a full kit (tools included) that costs $250–still much cheaper than new granite countertops. You’ll first scuff up your counter surface with the kit’s sanding tool. Next, using a roller brush, you’ll apply the adhesive base coat. Then you’ll spray a wetting agent onto the counters to keep the surface wet for the rotary chip dispenser, a nifty little tool that scatters decorative chips that will give the counters that stone look. When you’re done scattering the chips, you’ll use a scraping tool to remove any excess, and then sand the surface again with a provided tool until your counters are nice and smooth. Then you’ll run a wet rag over everything before applying the protective top coat, and ta-da! Your counters will be ready to use in 48 hours. TIP from CasaSugar: If you want to replace your sink, now is a good time. It’s hard to get an even edge if you try to install one after. This entry was posted in 2010 Mid Year Denver Market Watch, Buying or Selling Real Estate, Centennial, Cherry Hills Village, Colorado, Denver, Denver Housing, Denver Residential Real Estate, Greenwood Village and tagged Granite Countertop Choices. Bookmark the permalink.